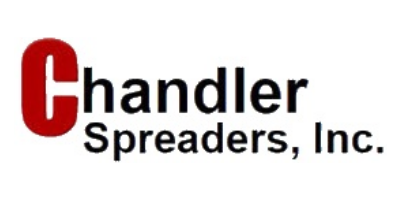 20-PTT-FT - Fertilizer Pull Type Spreaders - Tandem Axle Pull Type Lime and Fertilizer Spreader by Chandler Spreaders, Inc. Overall Length 217” (18’). Overall Hopper Width 96” (8’). Overall Height 92” (7’ 8”). 245 Cu. Ft. Capacity (struck level) (8 Tons based on 65 # Per Cu. Ft. Material). 10,000# Torsion Axles. 16.5L x 16.1 Tires (standard). Available in Mild Steel,. 409 Stainless & 304 Stainless Steel Hopper Construction. 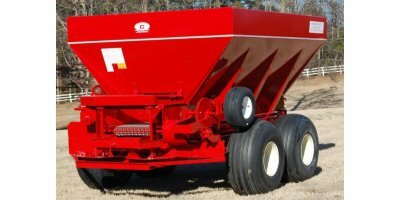 No reviews were found for Model 20-PTT-FT - Tandem Axle Pull Type Lime and Fertilizer Spreader. Be the first to review!